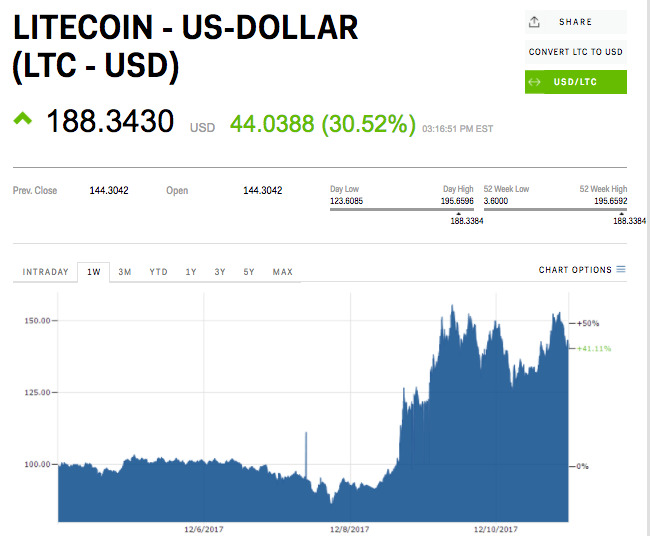 Litecoin, the fifth-largest cryptocurrency by market cap, has gained more than 25% in value over the last 24 hours, reaching an intra-day high of $US195.66 per coin. The gains come the day after Cboe Global Markets, a a Chicago-based exchange operator, launched trading of Bitcoin futures contracts. Litecoin initially saw a hefty loss after Coinbase’s GDAX exchange crashed last week, briefly sagging below the $US100 mark before this week’s skyrocket in price. Litecoin uses a slightly different mining technique than bitcoin, but has been largely left out of the cryptocurrency explosion. While the cryptocurrency has seen its value skyrocket by 4,975% this year, it’s still trading at just $US187 per coin, compared to bitcoin’s$US17,006. For comparison’s sake, bitcoin is up 2,062% in the last 12 months. 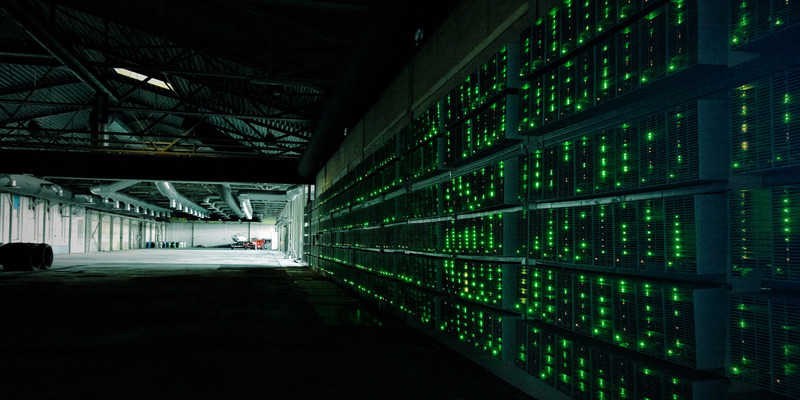 The electricity used to mine bitcoin this year is bigger than the annual usage of 159 countries, a British research firm recently estimated.